By Beverly Stephen They’re from the Midwest. They didn’t grow up eating fried chicken. There were no Southern grandmothers with a secret touch. 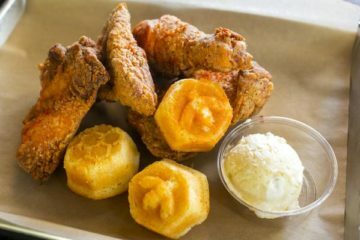 When they went to research the best fried chicken recipes for their restaurant, where did Christine Cikowski and Josh Kulp turn? To Edna Lewis? To Leah Chase?